My little car may not be the coolest car in our neighbourhood but I love it and it has been mine for a long time. 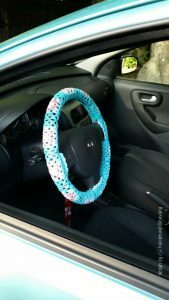 A crocheted wheel glove made of granny squares in colours that match the car makes sure that everyone can see that it´s my car! No doubt about that! 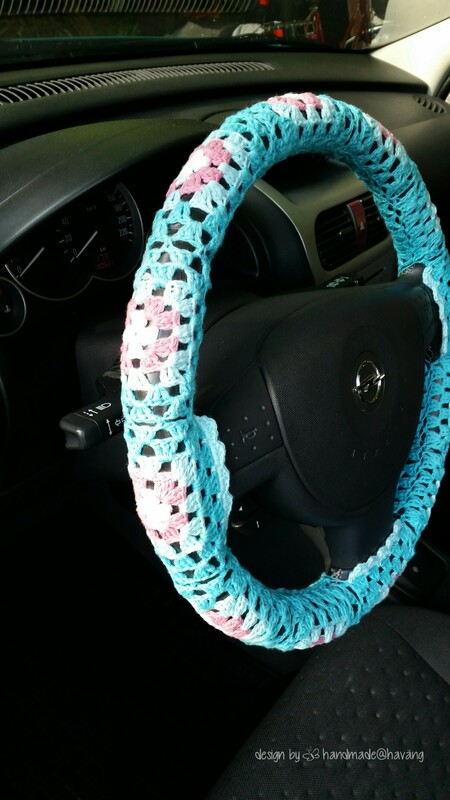 I measured the steering wheel and made granny squares that were a bit smaller than the wheel because they tend to stretch and I wanted them to fit perfectly. Then I joined them together into a circle. I used Sockstop on the reverse side of my wheel glove. 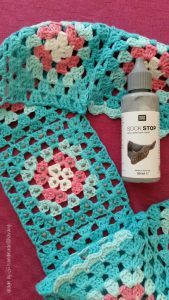 Sockstop is latex and it is used to make socks less slippery. 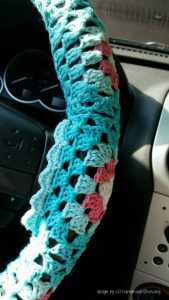 It works well with my steering wheel but of course you have to figure out on your own what works with your steering wheel and make sure that your wheel glove is safe to use in traffic. 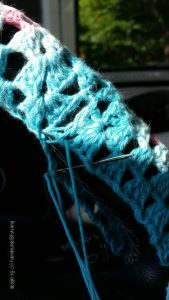 Now it’s time to sew the wheel glove on to the steering wheel. Make sure it fits perfectly!